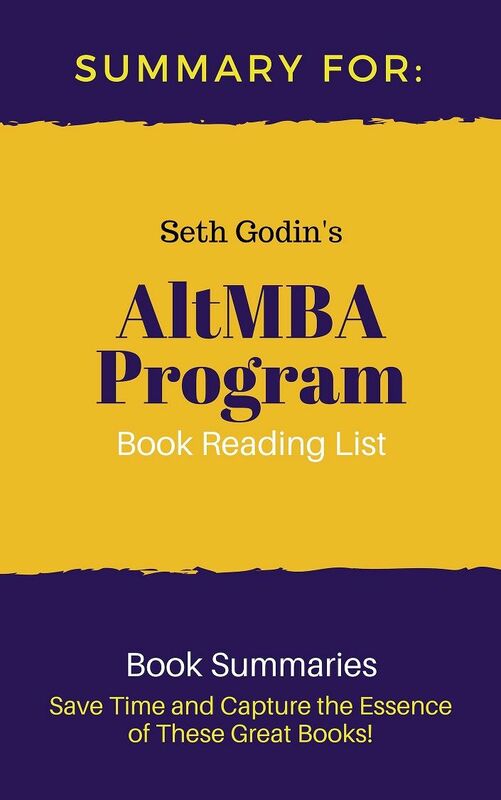 LOS ANGELES - Dec. 15, 2018 - PRLog -- From every account that I have read Seth Godin's AltMBA is worth more than you can imagine. 1) There aren't any teachers. The AltMBA is facilitated by coaches, not teachers or professors. There's no one around to tell you what to do. This means there isn't anyone around to tell you what to do, give instruction, or lead you to the right answers. The purpose of the altMBA coach is to provoke you towards a greater version of yourself. 2) You will not be graded. It's important to understand that the AltMBA is NOT an actual MBA. Not only that but you are not getting a certificate. In fact, the AltMBA is a very individualized program. You will be the one to measure your performance. (And yes, the coaches are there to help you). 3) You will not attend lectures. You will learn by doing. Yes, it will require reading (more on that in a second). You will also learn to understand the meaning of the word "ship". 4) You won't meet Seth Godin. This is probably not going to be a shock but you probably won't meet the creator, Seth Godin. Although the course itself is an embodiment of the essence of his work! Seth's work speaks for itself. He is clearly a genius. Don't take my word for it, the internet is loaded with interviews, podcasts, and articles about and from Seth Godin. 5) The course is $3,000 dollars (USD). As of this writing, you will pay a bit more than $3,000.00 dollars to attend the AltMBA. But, again, as mentioned earlier every review that I have read says that it was well worth the investment. (When you consider that the average real-world MBA will set you back a couple of hundred thousand dollars - the price looks much better). 6) Students believe in the program! Remember that most of the people attending this AltMBA program have busy lives. They are parents, full-time employees, and in some cases, small business owners. 7) Life Changing! Again and again, you will read or hear the words "Life Changing!" to explain the results of Seth Godin's AltMBA. A change that largely takes place in 30 days. It may be the only MBA program available for independent workers. The AltMBA covers everything from writing, sales, management, strategy, video content, goal setting, coaching, decision making, customer service, marketing, and creating presentations. But that's just the tip of the iceberg. Ultimately, you are responsible for what you get done and the impact it will have on your life.